Once again, I was faced with visiting a restaurant reluctantly. It's not because I had read bad things about it. In fact, I haven't seen much information about it at all. Is it my responsibility to break new ground? I'm not sure. 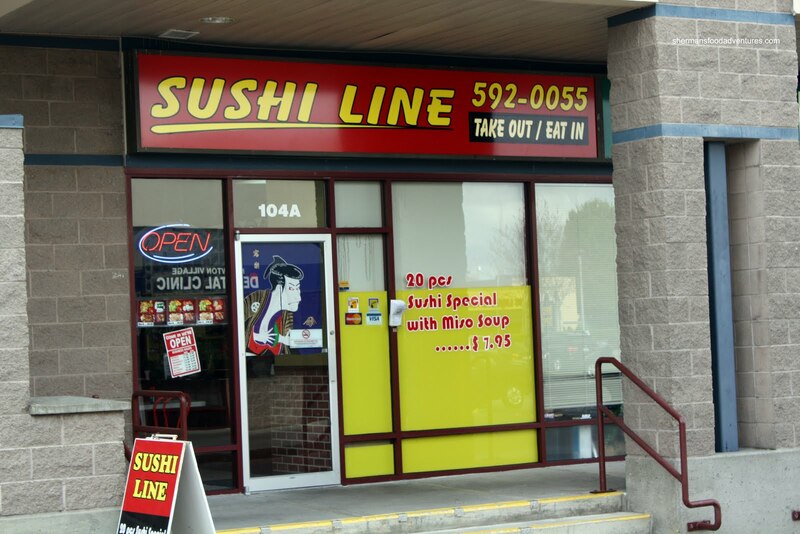 Last time when we ate at Brewster's (which was quite random as well), we considered Sushi Line. Located in the same plaza, it was an option. 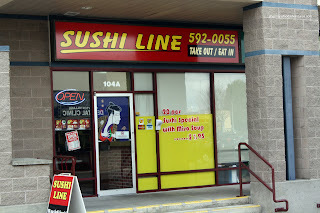 However, from the outside, it looked like any other generic Sushi joint. In fact, I thought it wasn't really a place I would eat at. Look at it, there are not indications it is even a Japanese restaurant. If "sushi" wasn't in its name, I would swear it looks more like a donair shop. Nervously walking in, I quickly realize that it is indeed a legit sushi joint. In fact, the older couple running the place looked quite competent. Listening in on their conversations, I'm guessing they are Korean. Once again, it's not important who is making the food, as long as it is good. I was actually quite hungry and ordered 3 items. 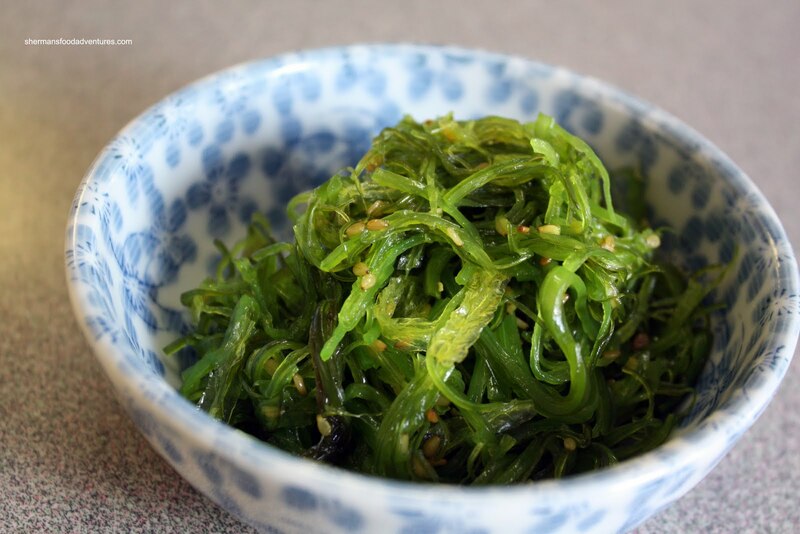 I started with the Wakame. I absolutely love this stuff, I could probably eat 10 of these easily. This particular one was tossed in toasted sesame and plenty of sesame oil. I personally liked that and of course, the nice "jellyfish"-type crunch. Since I was in the mood for sashimi (and more than 3 pieces), I went for the Assorted Sashimi. Fresh looking and in big slices, I was quite pleased with this offering. 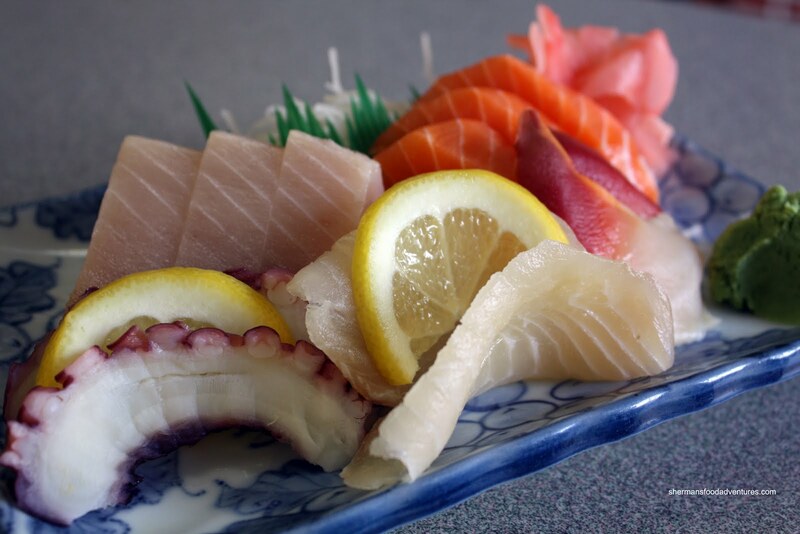 The tako was slightly chewy, a nice rebound with the tai with both salmon and tuna exhibiting a meaty texture. Of course a plate of raw fish ain't enough for me, so I added a Dragon Roll. Unlike some other versions which use a California roll on the inside, this one was more like a dynamite roll with ebi tempura and cucumber. On the outside lay the requisite avocado and unagi topp ed with tobiko, sweet mayo and unagi sauce. Served slightly warm, I thought the rice was alright. A tad on the mushier side; yet not terribly so. Predictably, the ebi tempura lacked crunch. I could've guessed this since the restaurant is quite small and specializes in takeout; thus the ebi tempura (for rolls at least) was not immediately fried. Despite this, the roll was decent and inexpensive. And really, for a place like this, I didn't expect much. Yet, it ultimately surpassed my expectations and it was a decent experience after all. 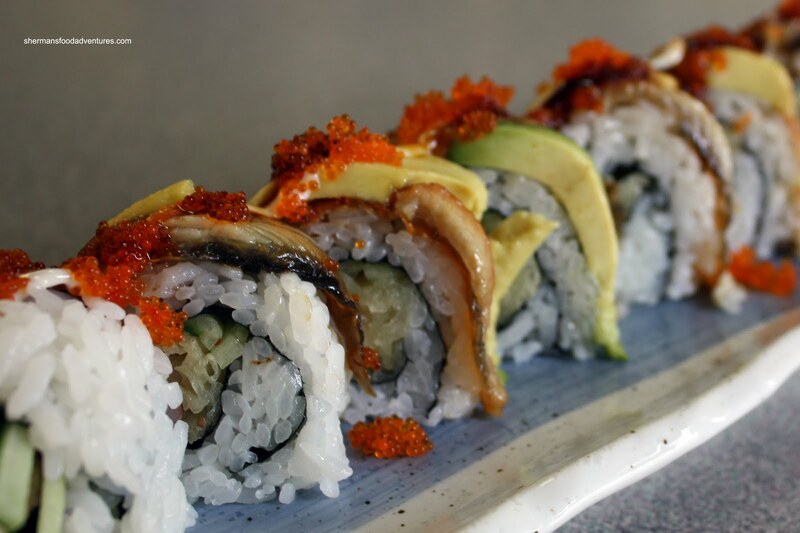 The dragon roll looks tasty, and the rice is not too tightly packed. Yah, it does look tasty eh? Too bad the prawn tempura was a bit mushy... I guess it's too much to ask for it to be fried freshly in small establishment such as it is.